We are a Denver-based non-profit with worldwide reach that helps all kids reach their full potential by working with educators, providers, families and children to develop individualized plans for kids with an array of developmental needs. We provide individualized, transformative pediatric clinical and outreach services worldwide. We set the standard of care for occupational therapy, speech therapy, and psychology through our “therapy that fits” collaborative and comprehensive approach. 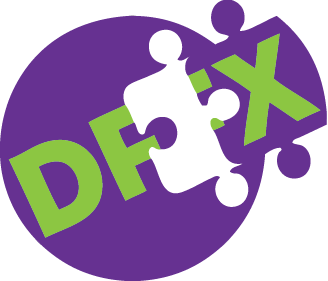 DFX creates a clear path forward for families and professionals. Our outreach programs extend locally and globally through publications, resource development, training, mentoring, and research. As a non-profit, our mission is essential to the communities we serve and depends on public support through grants and donations.